Since the dawn of time people have applied their intelligence in resourceful ways to help others. There is evidence of the ancient Egyptians in 1000 B.C. creating prosthetics to aid people with walking, which in turn also reduced healing time and increased quality of life. You may wish that all medical discoveries were as forward thinking and tangible as this, but unfortunately, they aren’t. We can be as ruthless as we are nurturing, and when it comes to the progression of science, whether it’s in the hope to heal others or not, subtlety is not always our strong point. When designing for nearly anything, form equals function. 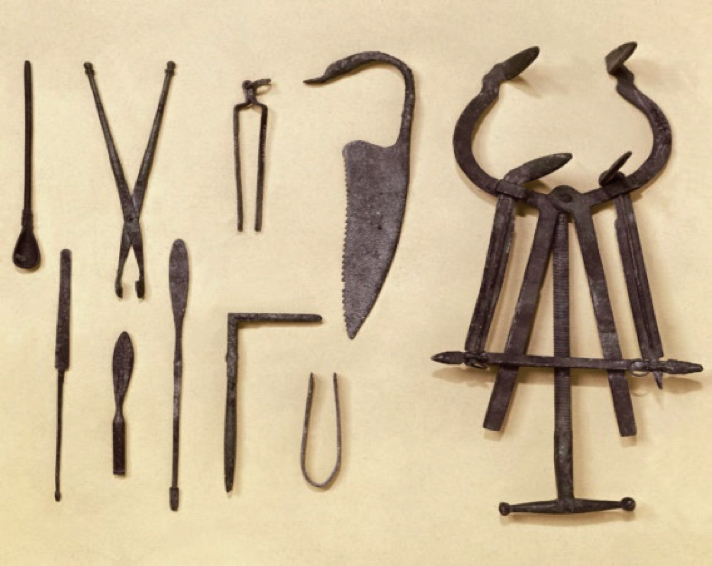 And if a purely mechanically or functionally minded person is in the driving seat, subtleties can be over looked, as is the case for the roman surgical instruments pictured on the right. Throughout history, medical devices have been designed to fulfill a specific task. 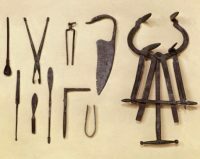 In the beginning these were simplistic devices created by the physician, or in conjunction with the blacksmith and tailor down the road. As science progresses, the possibilities have skyrocketed. Medical device design and development has moved from the physician, tailor and blacksmith to engineering firms and medical device consultancies. “When technology advances, the level of quality, safety and reliability typically increases exponentially with time”.1 Surprising as it may seem given the length of time medical devices have been around, regulatory bodies have only been in place since the early 1990s, based on the “New Approach” defined in a European Council Resolution in May 1985. Since then, more and more regulations have appeared, been amended, been reconsidered and updated to keep up with technology and advancements in our medical system. A couple of the key regulations and guidances are HE-75, IEC 62366, IEC 60601 and the FDA’s Applying Human Factors and Usability Engineering to Medical Devices. These are important because they deal specifically with user safety. Designing a futuristic cart that holds equipment that can treat every sort of cancer is great. However, if you’re wheeling that cart down the corridor and it gets caught on a door threshold, falls on somebody, and injures or worse, kills the person, then the cart design is a fail. This is the reason for the ISO 60601 tip test. There is a clause or sub clause for every conceivable safety-related use scenario. Some are obvious, like the tip problem listed above, and some are more subtle, like the use of color for different situations. Any mechanical engineer can read IEC 62366 and implement the basics or required components into their design, but this will end up with a functional, mostly safe product. What’s missing is the added value. More and more we are learning about design psychology, not only on the patient, but also on the physician. Patients are sick and stressed, and physicians are over worked and stressed. Understanding the mental, physical and temporal demands required of the user as well as the user’s own performance, effort and frustrations is something that a mechanical engineer will, 99% of the time, overlook. It is within this realm that accidents happen. Human factors is about addressing not only what is obvious or physical, but digging deeper and finding the root cause of the problem. MRI machines are so powerful that the magnets could rip a ferrous earing right out of your ear, taking the skin with it. They are so massive that they need to be built right into the architecture of the building. Yet over the years, the design of these immense machines has come to be perceived as something of a serene experience. From an efficacy perspective, it is important the patient lay still. Because the patient may be in pain, and the machine is very loud, it is important that the experience feels comfortable and secure. The sleek entrance and form of the machine is very nurturing, while the bright light in the hearth has an inviting sense of security. You would never know the ultimate power and force of this machine from an initial observation. As they are often built directly into the foundations of the building, from the time you enter the room to the time you leave is an auditory and sensory experience directed at detracting from the daunting behemoth within. By using human factors engineering in combination with design psychology, what should be an intimidating and stressful procedure becomes something quite the opposite. This often boils down to the subjectivity of comfort and how to design for it. Niall Redmond, BDes is a medical device industrial designer at StarFish Medical. 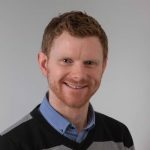 Niall’s 10 years of experience in Ireland and Canada span multiple industries including technical sports equipment and active wear for animals. 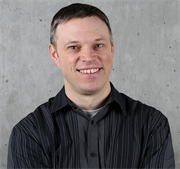 He brings innovative ideas, detail-driven work, enthusiasm, and a large dollop of humour to the table.